This a long post but just a summary of facts and figures about our accommodation in Australia (New South Wales and southern Queensland). Prices are in Australian dollars, which were about 3-8% higher than American and Canadian dollars. By the way, it should be no surprise that many of these places will not be quite as nice as they look on the websites. That is where “adventure” comes in! (I am planning a future post about adventure.) I hope the photos show the variety of places, which was fun. 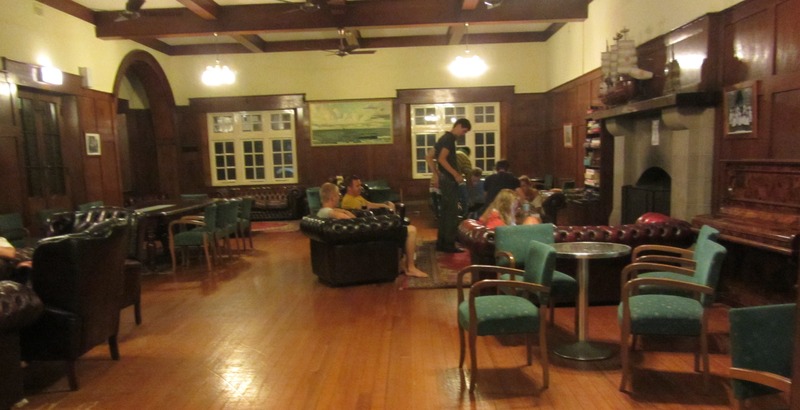 Young backpackers typically have a bed in a dorm room of 4-10 beds for A$25-35/night. There are communal bathrooms, kitchen facilities and other amenities, like a college dorm. Most hostels also have some private rooms, some of those with en suite bathrooms. Private rooms are priced for 2 people, slightly more than 2 dorm beds. That’s what we always had. Some places have free breakfasts, such as the one I described in this post. Generally you need to have your own towels. Some hostels are associated with the YHA (Youth Hostel Association). If you are a member (in any country, I think) you get about 10% off the rates. You don’t have to be a youth to join or stay at their hostels. You will find a mixture of ages but the majority are 20-35. However, I’ve always felt welcome and never felt really out of place. We met a Canadian fellow who was over 65; he had always wanted to see Australia, so that’s what he was doing. He had budgeted an average of $30/day for sleeping so he had to take dorm beds. He was travelling around Australia by bus, for 3 months if his money held out. 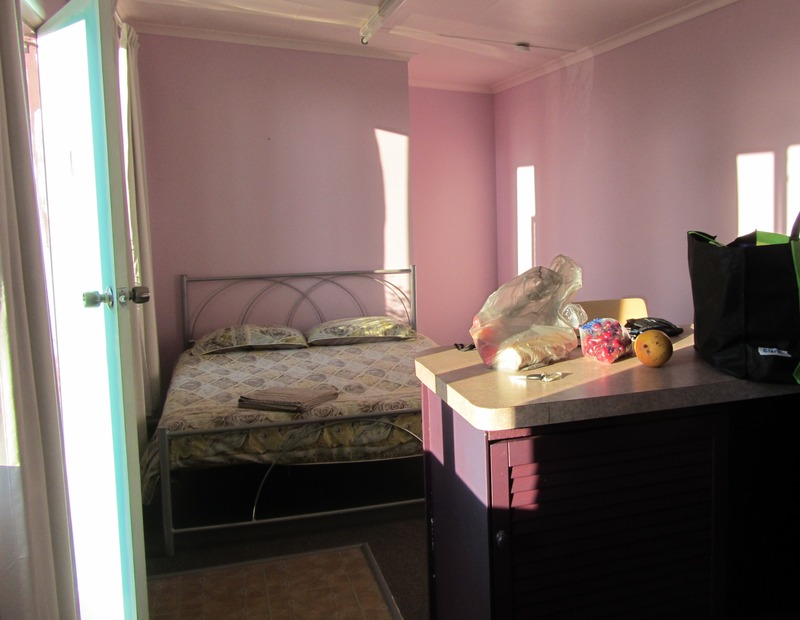 Greenhouse Backpackers, Flinders Lane, Melbourne – A$70/night for private room without bath. Free breakfast which I described here) and free wifi throughout. Well run, clean, on the 4th to 6th floors of a building with a very slow elevator. I made a reservation before leaving home, since it was my first stop. My room looked somewhat like this except it was smaller, didn’t have a window, didn’t have a sofa, and didn’t have so many fluffy pillows. I’d stay there again. 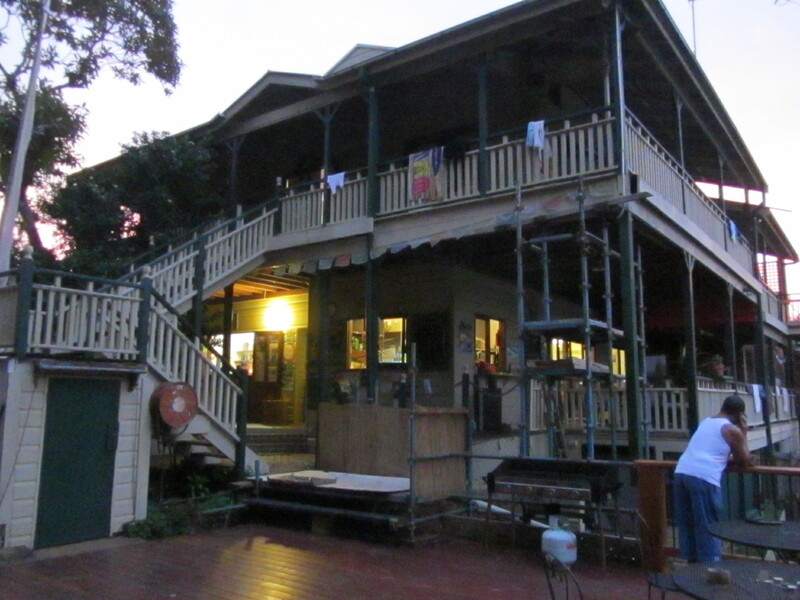 Bellingen YHA, Bellingen NSW – $78/night for 2. This pleasant hostel is known for its laid back atmosphere, quaintness and general grooviness. The co-ed bathroom didn’t bother me as much as the fact that the stalls had no hooks or shelves. The lounge areas were very homey. This is where we met the 65+ guy. Newcastle Beach YHA, Newcastle, NSW– A$80/night for 2 people. This was the best hostel we stayed in, and I recommend it. Big old building that used to be a men’s club, so it was very elegant. Well equipped kitchen, lounge areas, bathrooms. Only 100 m from the beach. I liked Newcastle – the beach buildings had a Victorian feel as well as modern. There was interesting geology and breakwater to walk on. 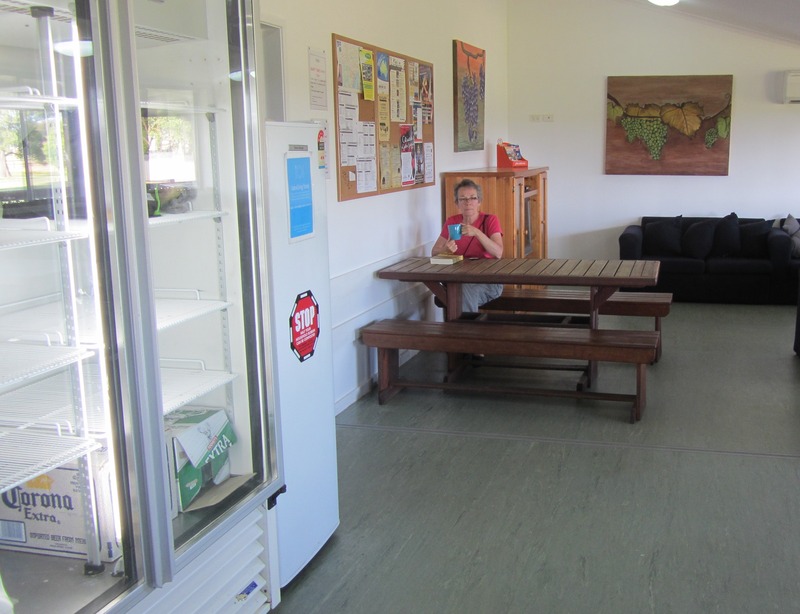 Hunter Valley YHA, Cessnock – $75 or so/night for 2, private room with shared bath. 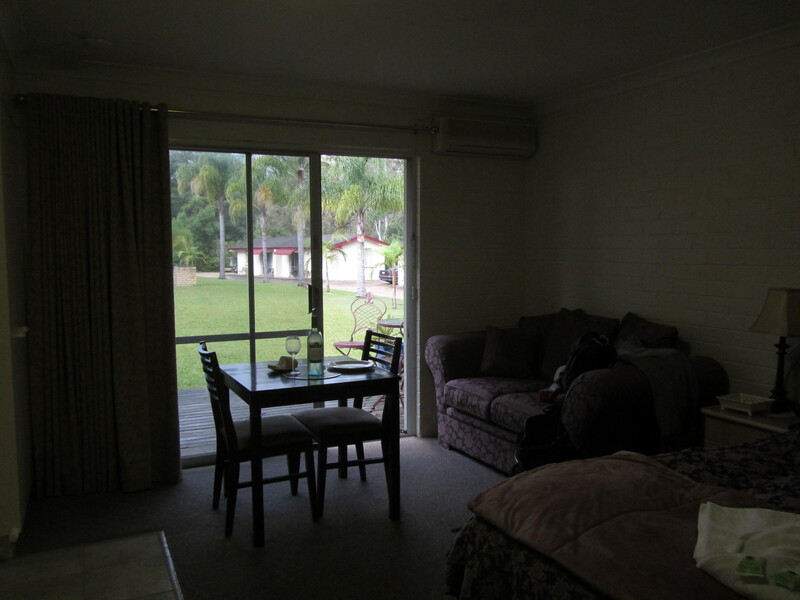 We were a little surprised that there was cheap accommodation in the Hunter Valley. This hostel was small and pleasant, conveniently set right by a vineyard and 500 m from the brewery. On the right you see a typical hostel fridge, except this one had recently been cleaned out and was almost empty except for the beer on the bottom shelf. I’m having morning coffee. 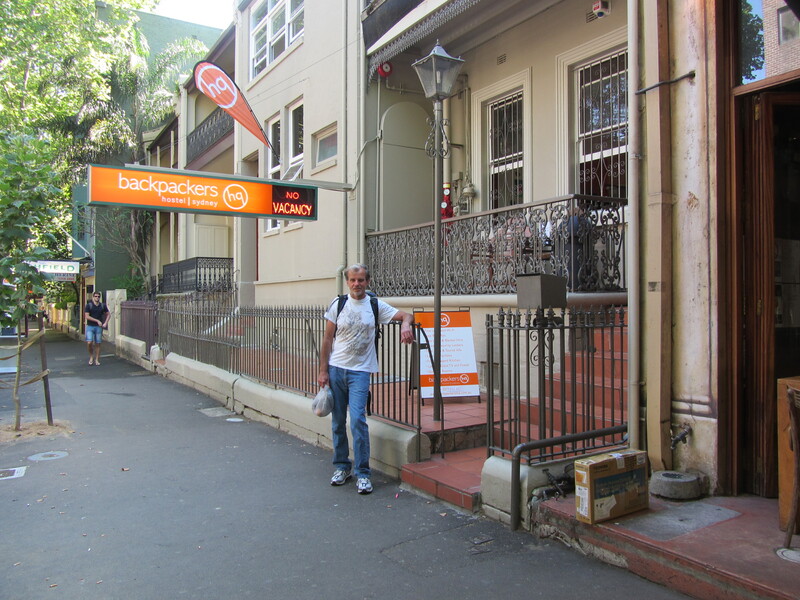 Backpackers HQ, Sydney – $95/night for 2 people, for private room with bath, breakfast and wifi included. This place was only OK/fair, mainly because the stairs were dingy, the kitchen was too small and there wasn’t enough seating when it rained in the open courtyard. [There is a new YHA that is apparently VERY nice; it costs $135/night or more for 2 in a private room; there wasn’t one available for us.] So we went to the cheaper Kings Cross area where we had to take the car anyway. These are like old-style motels, found on the outskirts of a town. They have a combination of RV/caravan sites, tent sites, cottages, basic cabins with shared kitchen and lounge areas, and even a few permanent residents in cottages or caravans. We didn’t book any of these – just drove up. Top of the Town Tourist Park, Stanthorpe, Queensland – We went to the Granite Belt for a weekend with daughter, sampled wine and climbed big rocks. We stayed in this pleasant town in a cabin with bathroom, fridge, kettle and midget TV. Had to go outside to use the ubiquitous Australian barbie (BBQ) to cook our dinner. It was AU$104 for the 3 of us. No wifi. It was okay, but wasn’t quite as impressive as the website photos. 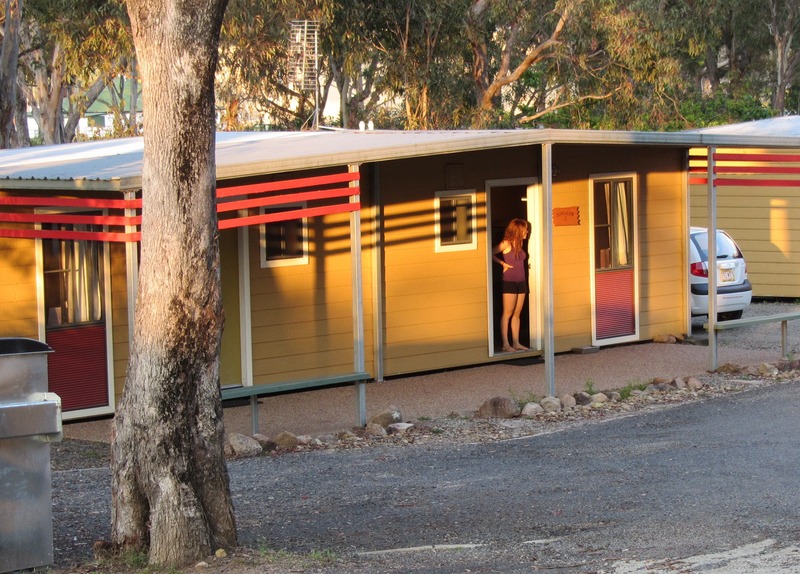 Ballina Gardens Caravan Park – Ballina NSW – $70/night for 2, in a cabin with bedroom, bathroom, kitchen, TV. Very satisfactory. Bendemeer Tourist Park, Bendemeer NSW – A$70/night for 2 in a cabin with bedroom, bathroom, kitchen, TV, and even rolling lawns to a nice creek. It was near a highway but set down a hill, so the traffic didn’t bother us at all. The place was very nice, in fact – one of our favourite finds. Country Pines Motel, Laurieton NSW (south of Byron Bay) – A$99/night for 2 for bedroom, bathroom, kitchen, TV, and very friendly hosts. Recommended. Le Court Villas, Noosa Head, Queensland – The second weekend we took daughter to Noosa on the Sunshine Coast. We booked this townhouse online 2 days before. This place cost AU$120 for 3 people and was very comfortable. The location was OK, but neither here (in the active part of town) nor there (beside a beach), so it didn’t really have a lot of character. Nevertheless we had 2-bedrooms on two floors, with full kitchen and TV – quite comfy, but still no wifi. Daughter’s apartment, Brisbane – Here we had everything, including wifi and a nice deck to eat breakfast on, after she had gone to work for the day. The price was right, being free (LOL – this is, after buying a self-inflating camping mat, household appliances, new bathing suit, shoes, and university education.) She both put up with us and put us up well. I look forward to your blog on adventures, having had several involving missed freeway exits in San Francisco today. And also, is there a subtext to your review that “65+ guys”, should perhaps stay home and out of sight (again, this touches me personally)? What about “65+” gals? You clearly have been seeking adventure; otherwise you wouldn’t have rented a car to drive on the freeways of San Francisco. I was quite happy to meet the 65+ guy on the road and never implied that he and his peers should stay home. I don’t know any 65+ “gals” so I have no comment on what they should do.